The Super Mario Series is one of the most iconic videogame series of all time. It’s has always had incredible gameplay that has been merited with even more incredible music. Catchy, whimsy, cheery and easily recognisable, the music of Super Mario has changed over the years just as much as the moustachioed plumber has. 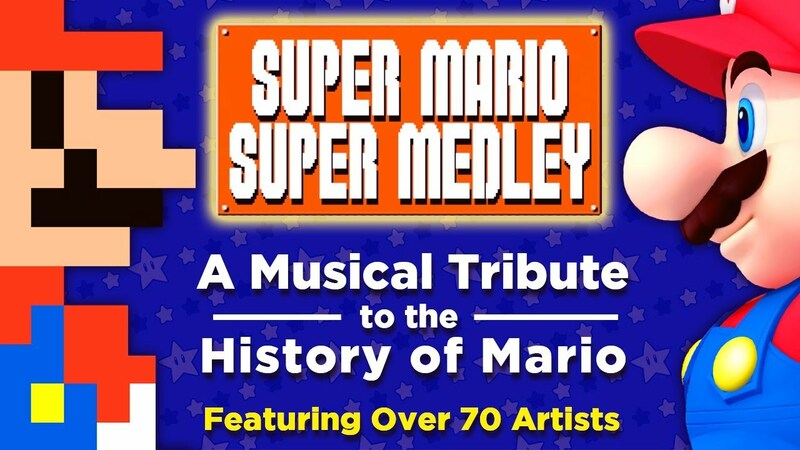 YouTuber and musician Family Jules has put together a Medley with over 70 other YouTubers to pay tribute to the Music of Super Mario from the very first Super Mario Bros on the NES, all the way up to Super Mario Odyssey on the Nintendo Switch. It is a unique mix of Metal, Jazz, Piano/Keyboard and flute along with acapella and vocals for good measure.